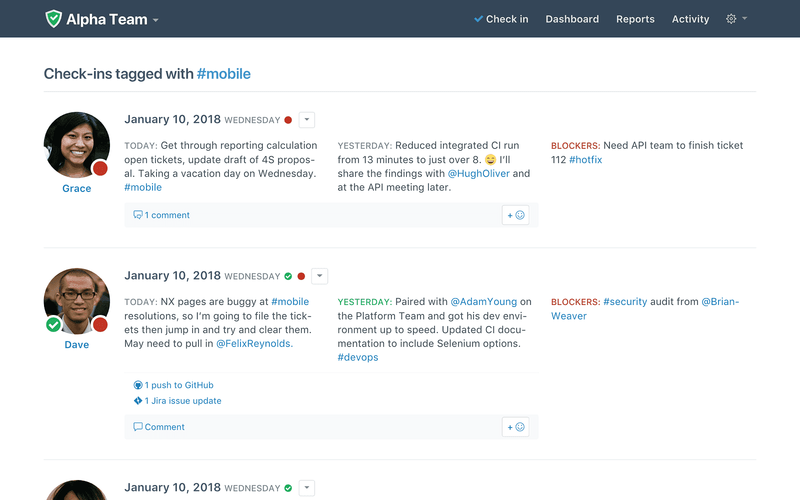 More than a just another standup bot, Status Hero goes beyond automating standups in Slack by also tracking your team's status updates, daily goals, and activity logs from your tools, all in one place. 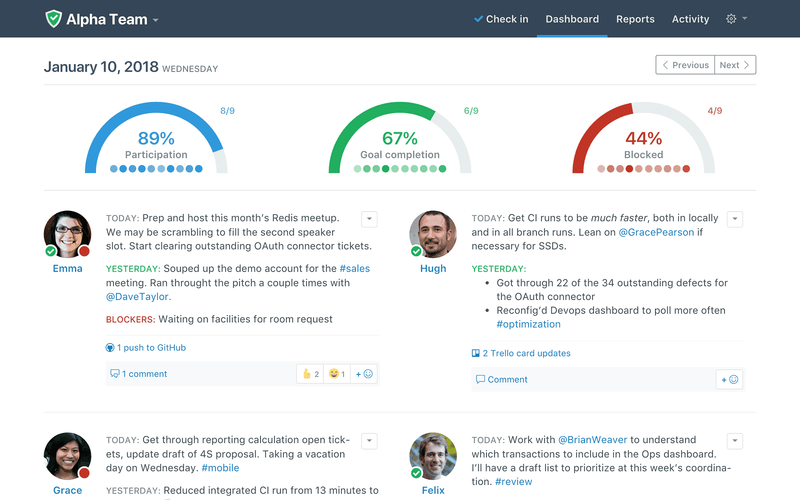 :robot_face: Standup automation: The friendly @statushero bot automatically collects updates, creates beautiful reports, and broadcasts them to the #channel of your choice. :sunglasses: Easy for your team to use: Nothing to download, install, or log into. 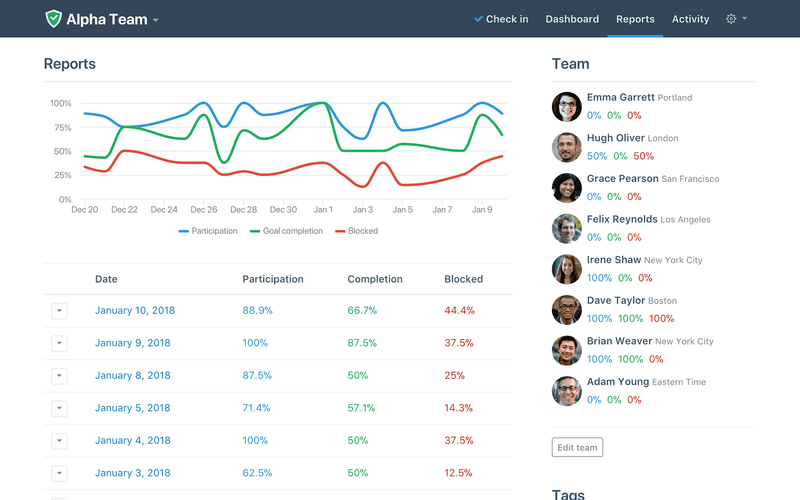 Enter your updates and view your team's status right from within Slack. 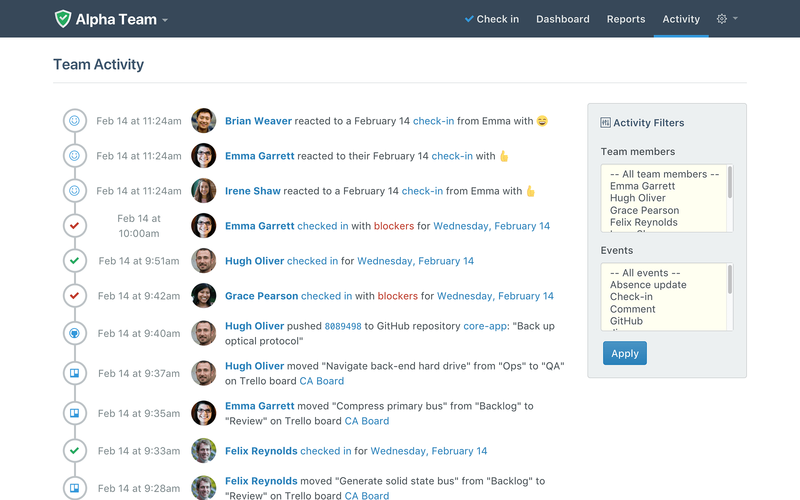 :handshake: Integrations: Jira, GitHub, Asana, Trello, and dozens more your team can add to automatically include activity like code commits and issue updates. 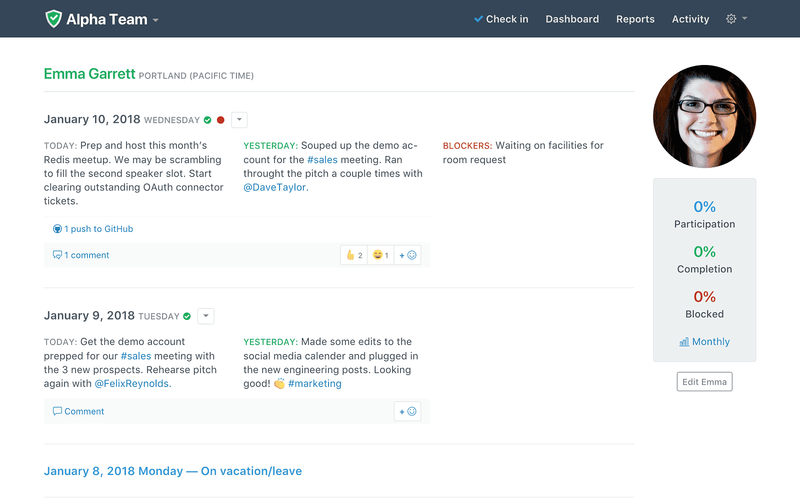 :gear: Customizable: Time zones, schedules, days of the week, members, and questions :closed_lock_with_key: Enterprise ready: Enterprise-grade security, encryption, custom contracts, and SSO/SAML available Trusted by thousands of teams, including Adobe, Zendesk, Etsy, Nike, and more, Status Hero is a simple way to automate standup meetings, sync up your team, unearth obstacles, inform stakeholders, and cut through all of the noise. Nothing for your team to install or log in to.There's a free, full-featured trial so you can try everything out with some or all of your Slack team. 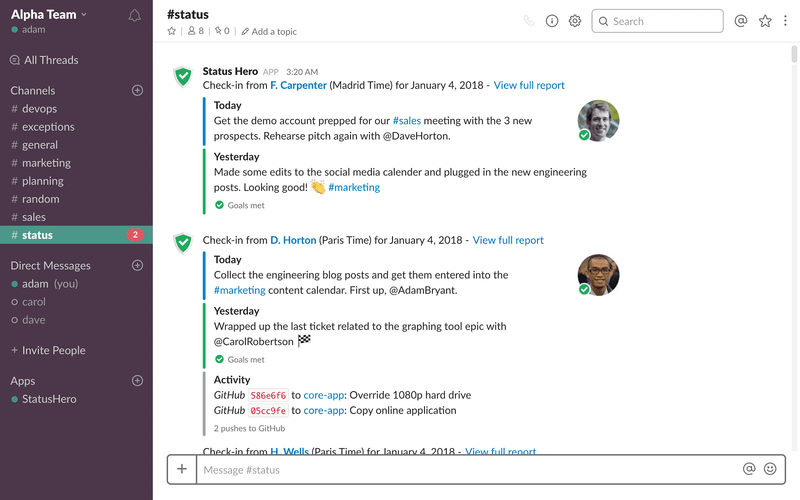 Status Hero will be able to post to specific channels in Slack. Status Hero will be able to view the email addresses of your Slack workspace’s members. Status Hero will be able to install a bot user that appears in and has access to your workspace’s directory. It can also post messages and view activity on messages in any channel it is invited to. 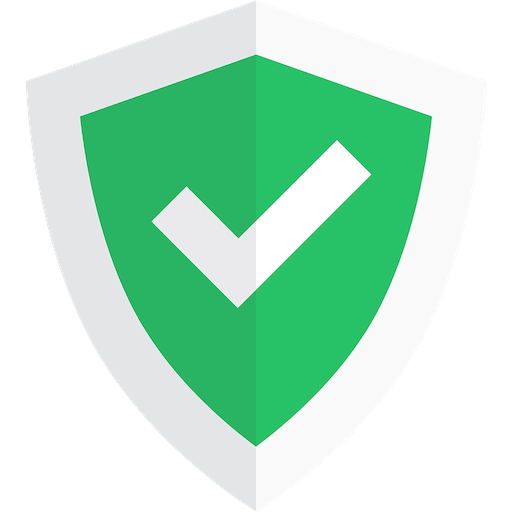 Status Hero will be able to access profile information for all users on your workspace, including names and contact information.